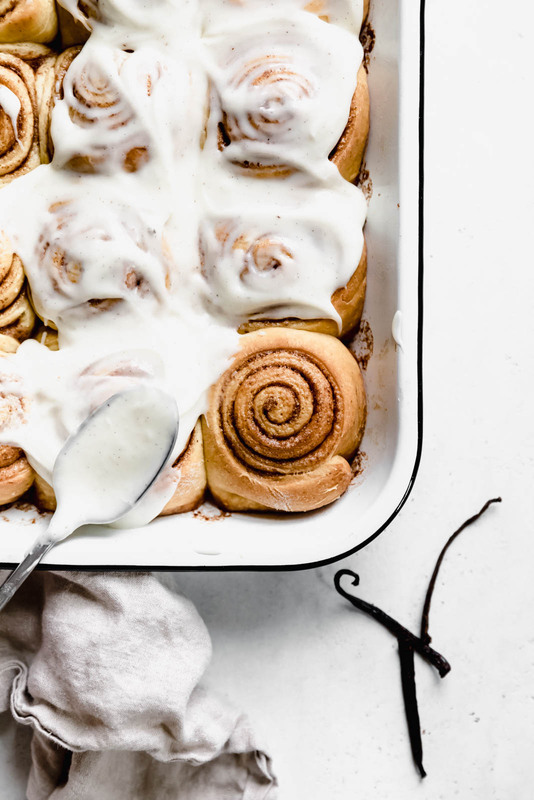 If there’s one thing I might love more than brownies, it just might be a good cinnamon bun. But a good homemade cinnamon bun is weirdly hard to come by. It’s either too bready, too sickly sweet, or not flavorful enough. Or all three. 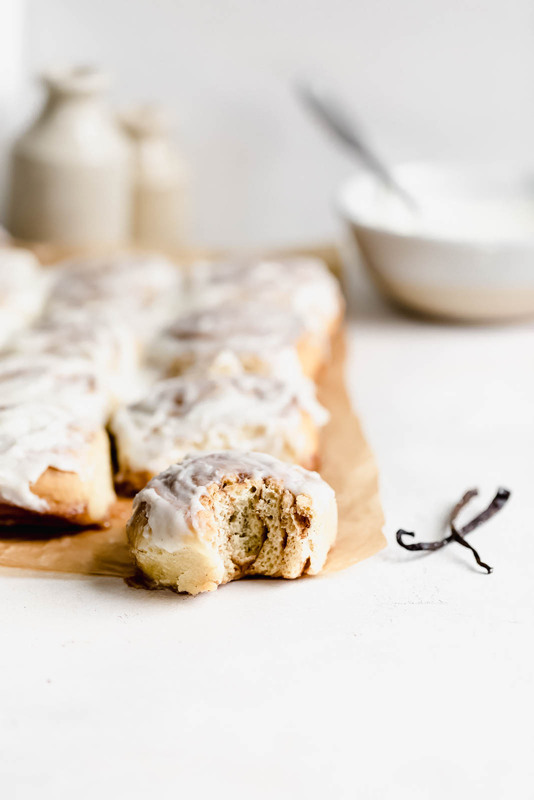 This cinnamon bun, on the other hand, is none of those things.. You’ve got a moist as heck dough, an awesome cream cheese frosting, and OH THE FLAVOR. Wanna know the secret? I flavored the dough with Vanilla Paste from Rodelle. 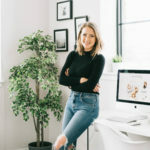 Rodelle is one of my longest clients, and I just love everything they do. Their cocoa powder gives me LIFE (no other brand comes close), I use their Wassail Mulling Spice Blend in my spiked cider every Thanksgiving, and they are the absolute Queens of Vanilla. 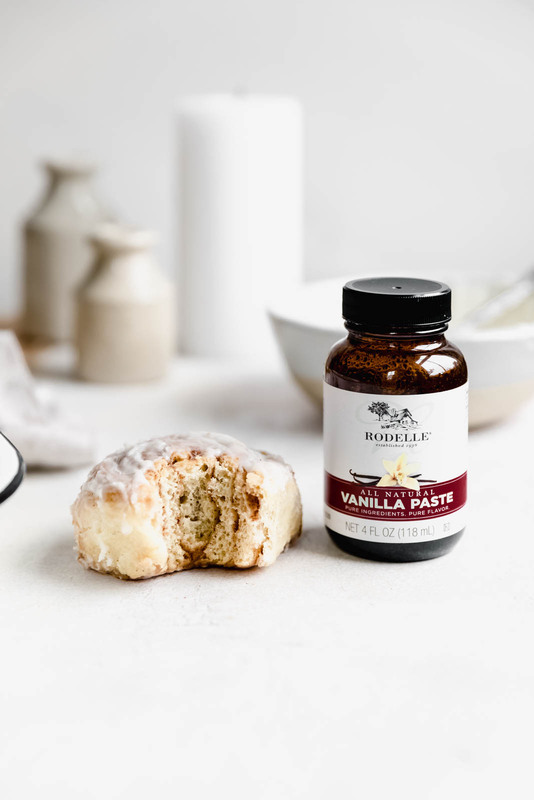 Why Vanilla Paste? Well, it’s all the flavor and beauty of vanilla beans with none of the hassle. 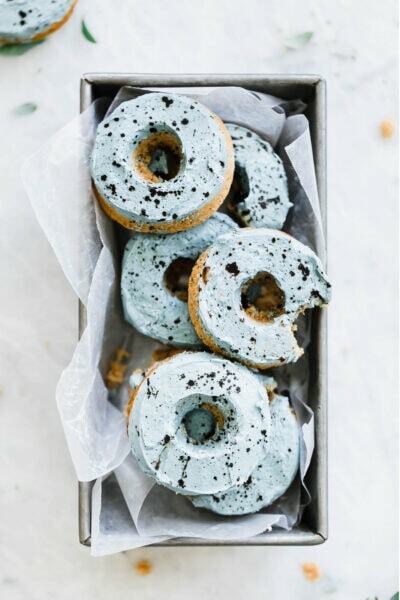 I just love that it gives you that speckled look without having to cut into a vanilla bean pod! Plus, vanilla and cinnamon are a lovely pairing together. Both warm, but one more spiced and one more floral. 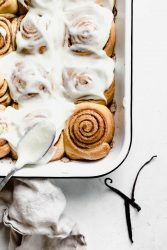 They work so well in these cinnamon buns, and it makes me feel like cinnamon buns shouldn’t be any other way. So did I convince you yet? 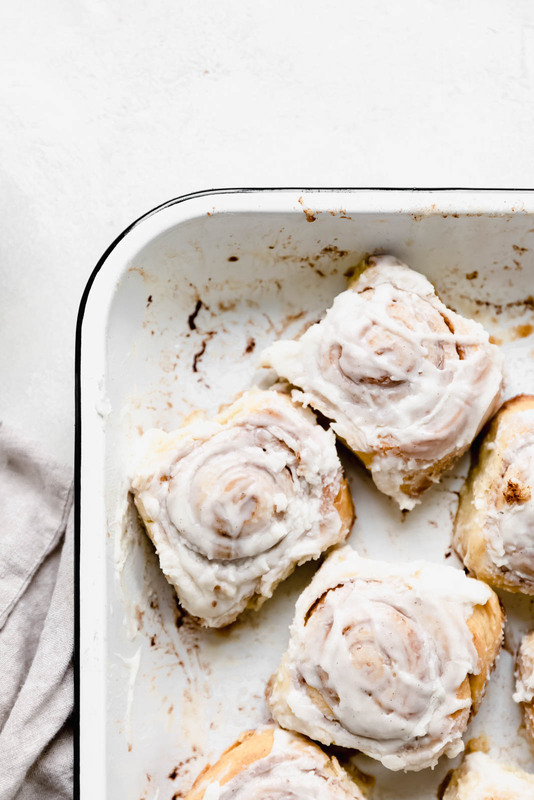 Are you ready to put these buns on your weekend baking list?! 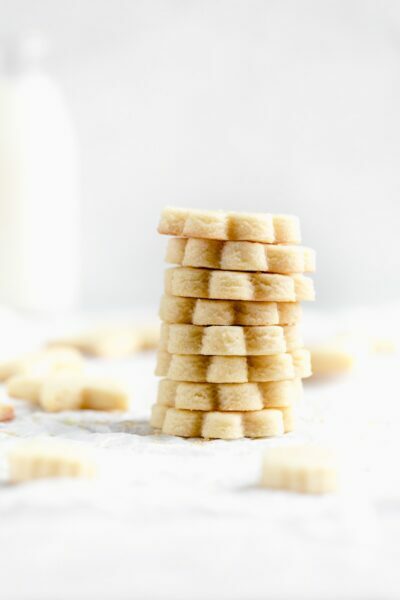 Pour milk, 1 tablespoon of the sugar, and yeast into a standing mixer fitted with a dough hook. Allow to sit for 5 minutes. The mixture should foam, signaling that the yeast is active. Add in the remaining sugar along with the vanilla bean paste, eggs, and 1 cup of the flour. Turn mixer to low and allow to come together. Once mixture is combined, add in remaining flour and knead for about 10 minutes. Dough is ready when it pulls away from the sides of the bowl, has a smooth surface, and be stretchy to the touch. Note that it is a wetter dough, so this is OK! Coat a large bowl with oil and place the dough into the bowl. Cover with plastic wrap and set in a warm area to proof for 1 hour. 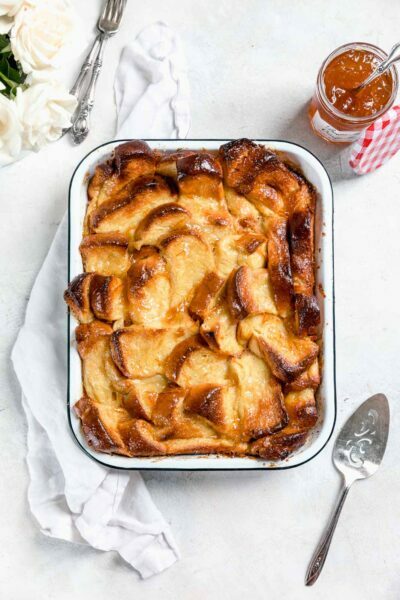 In a small bowl, combine the brown sugar and cinnamon for the filling. Lightly grease a 9″x 13″ baking pan. Set both aside. Liberally four a large work surface. Roll the dough out into an 16″x 24″ rectangle. It will be thin, but this is what you want! Spread the melted butter over the dough, coating it evenly. Sprinkle on the brown sugar/cinnamon mixture and rub into the butter to combine. Working from the long edge, roll the dough into a log, pinching the ends so it stays together. Using a serrated knife or dental floss(even better! ), cut the dough into 12 equal buns. Place into prepared pan. Allow dough to rise a second time. Cover the pan with a cloth and let rest in a warm place for 1 hour. Preheat the oven to 375°F. 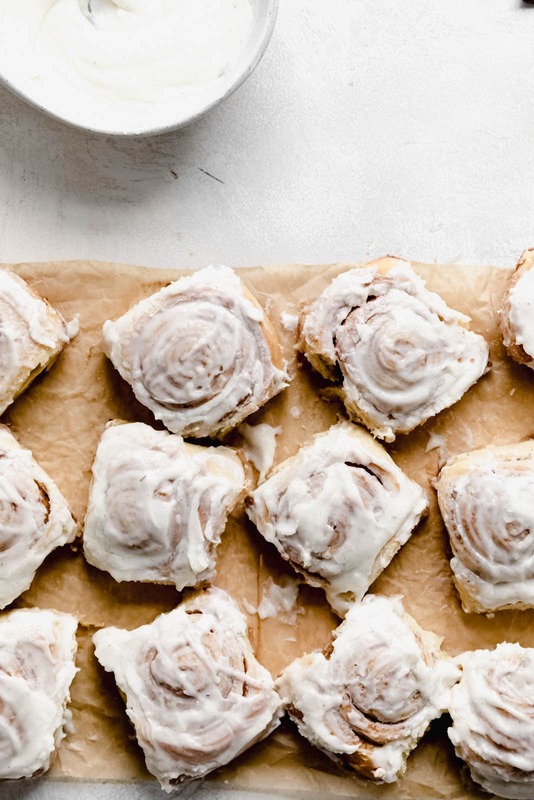 Bake for 20-30 minutes, until the cinnamon buns are golden brown on top. Once the buns are out of the oven, cool for 10 minutes. 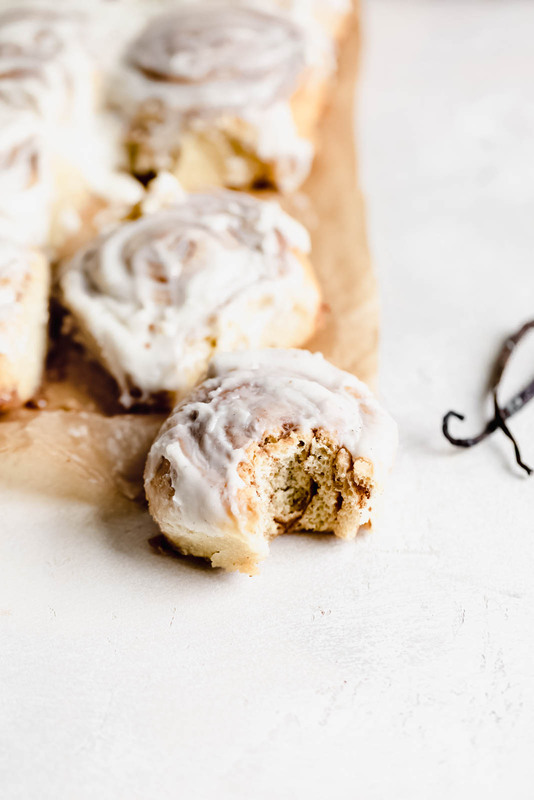 Microwave the frosting for 10-15 seconds to thin it out slightly, then spread over warm cinnamon buns and serve! This post is sponsored by Rodelle. All text and opinions are 100% my own. Thank you for continuing to support the brands who help make Broma possible! Can’t wait to try this recipe. Thanks, Sarah! No, but you can mix by hand!